An honour roll commeorates those from the parish who enlisted in World War One. Christ Church Claremont Honour Roll was unveiled on the 13th December 1917 by the Minister for Defence, Senator Pearce. 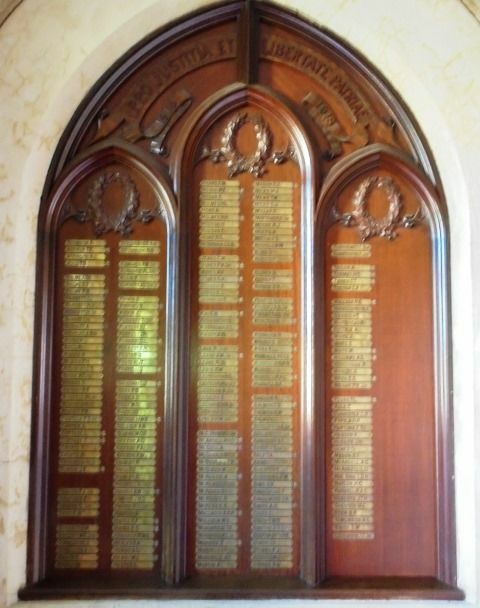 The jarrah honour board contained the names of 220 men of the parish, 50 of whom had fallen in the field. After the names of those who had fallen were read "The Last Post" was sounded and the hymn "Now the Labourer's Task is O`er" was sung . The West Australian (Perth), 14th December 1917.